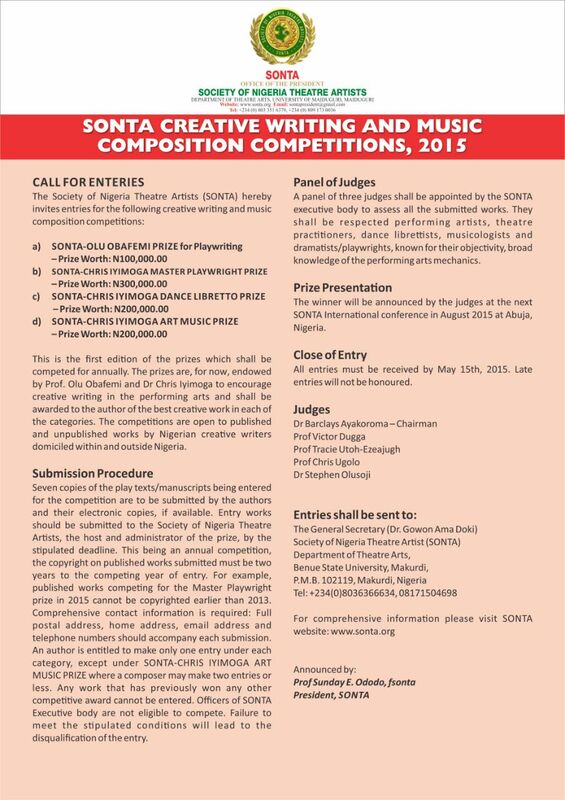 Announcement from the Society of Nigerian Theatre Artists (SONTA) regarding Nigerian Universities Theatre Arts Festival (NUTAF). The Council of Academic Heads of Performing Arts Institutions in Nigeria in a joint meeting held at the Benue State University on 5th June, 2013, with Nigerian Universities Theatre Arts Students Association (NUTASA) President, NUTASA Board of Trustees and SONTA President have approved August	12-17th as the new date for NUTAF 2013. This followed consideration of the reports of clashes of the old date with exams of 3 institutions and the pending ASUU strike. All branch institutions are kindly requested to note the change please.